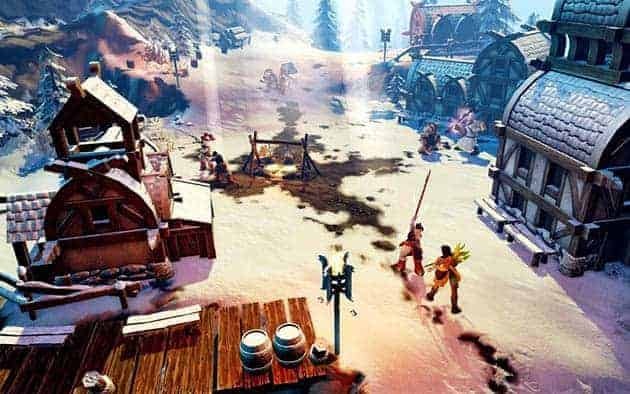 Today Ubisoft and Blue Byte announced the immediate launch of the English language version of the latest addition to the popular Settler’s franchise, The Settlers – Kingdoms of Anteria. The upcoming online PC title promises to deliver a persistent city building experience combined with cooperative gameplay and a powerful trading system that will create a bustling player-run economy. During the Closed Beta event players will be able to explore the untamed wilderness of Anteria, with the chance to experience a variety of the in-game features including persistent kingdom construction and management, the extensive in-game trading features and the newest addition to The Settlers franchise, adventure gameplay. The Settlers – Kingdoms of Anteria Closed Beta event will serve as a chance for the developers to analyze the experience of each player, giving them the information needed to help fine tune the experience in preparation for the games full retail launch. For more information, or to sign up for The Settlers – Kingdoms of Anteria Closed beta, check out the official website.